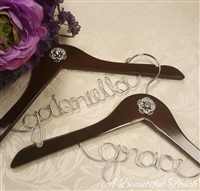 We specialize in creating beautiful and distinctive hangers for the Bride to hang her beloved gown! We do not sell online, so please call us at 856-858-3777 to place an order. Our prices range from $14.95 and up. 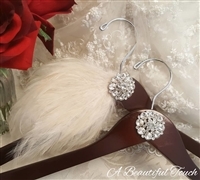 The prices for the featured hangers are $29.95 and $36.95. Thank you. We do not sell online, so please call 856-858-3777 to order. 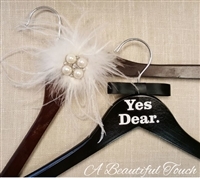 This hanger is available in a child and adult size. 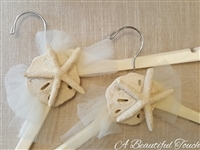 For the beachy Bride - Sold Out!